Where is the best place to view the Hollywood sign and where is the best place to get a photo of the Hollywood sign? I’m going to show you! Getting a fantastic photograph of the Hollywood Sign is an absolute must when visiting Los Angeles. But you don’t just want the one picture there are two, yes TWO pictures that you need to go and find. 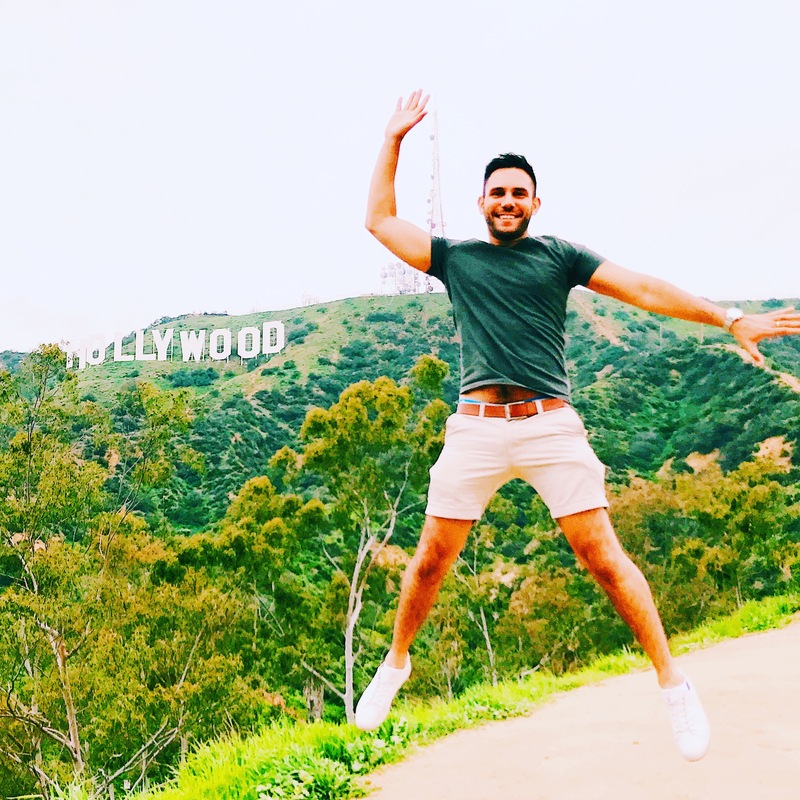 The one where you are behind the Hollywood Sign looking out over LA, and the one where you are nice and close behind the Hollywood sign. There’s also an additional option of getting one on Horseback and riding up the Hollywood Hills to get a sunset picture of the sign. This photograph is harder to get than the photo infront of the sign as it involves a hike up the hill as there is only so far that you can drive. 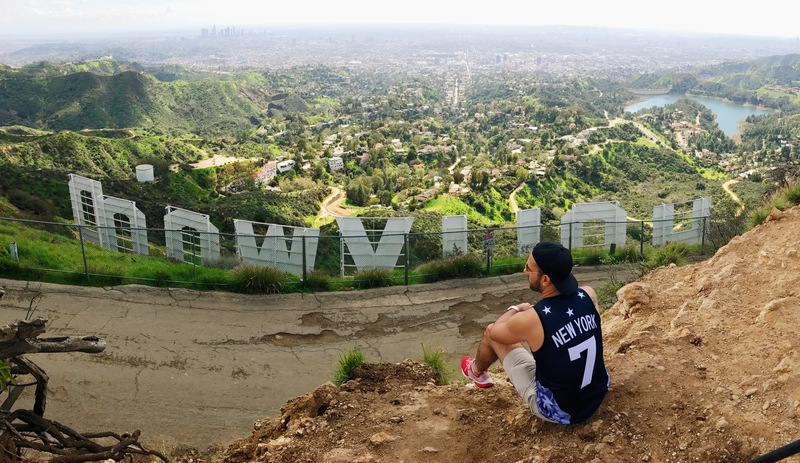 How long does it take to hike up the Hollywood Sign? You probably need a couple of hours from parking up depending on your fitness level. It took me about an hour to get up to the sign and then half an hour to get back down. What street is the Hollywood Sign on? Head up the hill to the address ignoring the signs that say there is no access to the Hollywood Sign. This simply isn’t true and I’ve heard these have been put up by disgruntled residents who don’t like people driving past their house. When you get to the address stated look for somewhere to park. WARNING ABOUT PARKING: There are lots of No Parking signs around, don’t park by these as the traffic wardens are always on the look out to give you a ticket. The No Parking signs apply to each block so you need to find a block (two parts of the street between curb breaks) where there isn’t a sign and it should be OK. I’m no expert on parking rules in the US but this seemed to work fine for us. You then walk up the hill and come to a big gate which has a pedestrian access to the right hand side which you can just go through. Then walk up the hill until you see a sign for the Sunset Ranch, this is where the road forks off to the right which is the start of the hiking trail to the sign. You’ll notice that it’s almost impossible to get the whole sign in. If you have an iPhone use the Panoramic setting and this will allow you to get the whole thing in just make sure the person in the picture stays really still whilst you do it! This is somewhat easier and just involves a drive and and a very small walk. Simply drive to this address, taking care of where to park as with above and then there’s just a public gate to enter the park that you go through and up a slight hill. There you can get a great picture nice up close but in front of the sign. Jump in front of the sign. If you hold down the camera button on an iPhone this will do a photo burs and you can simply choose the best frame. It’s harder to get a good picture here as the sign is further away but it’s a fun experience to ride through the Hollywood Hills, particularly at sunset. A word of warning though this is not for the faint hearted or anyone who hates height. The roads are windy and the sides of the hills steep which the horses ride EXTREMELY close to and it can be very unsettling at times to bare this in mind if deciding to go. 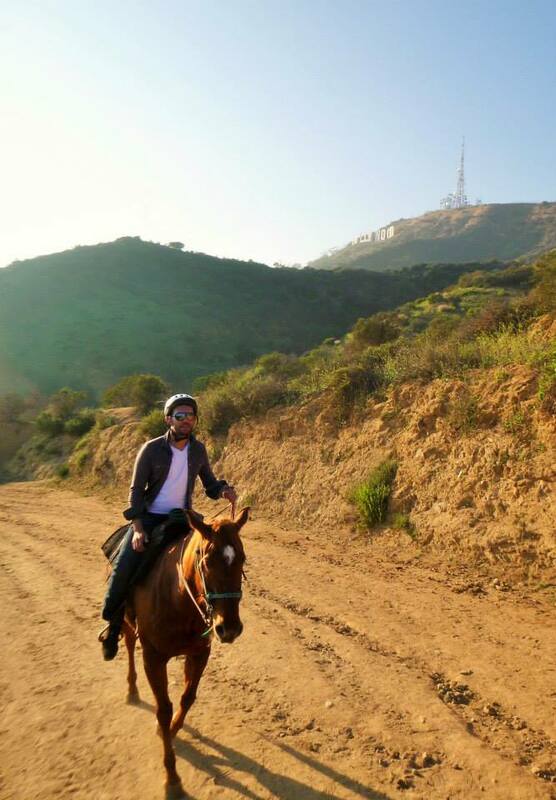 You go through the previously mentioned Sunset Ranch http://www.sunsetranchhollywood.com/ and tours range from between $50 – $175 depending on what you want to do. I hope you enjoyed this post and found it helpful. Please do leave me a comment below and let me know your thoughts or if you have any other great spots to get pictures on. Also let me know any future posts you’d like me to do. Finally I’ve done a video on this topic so check it out on my YouTube channel – video is below! Previous Post What Is Afternoon Tea At The Ritz like?